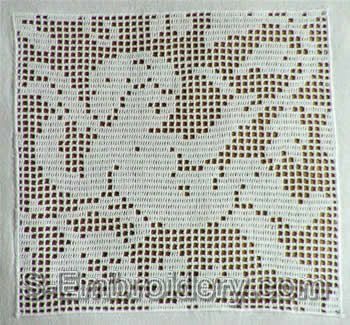 A free standing lace crochet angel square that will make nice decoration for pillow cases, curtains and other embroidery projects. Notes: 1. 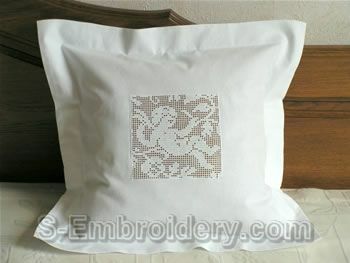 This design is also available in the 10371 Free standing lace crochet angels set with 2 other designs: SKU 10368 and SKU 10370. If you purchase the set, you save 22% as compared to the price of the standalone designs.